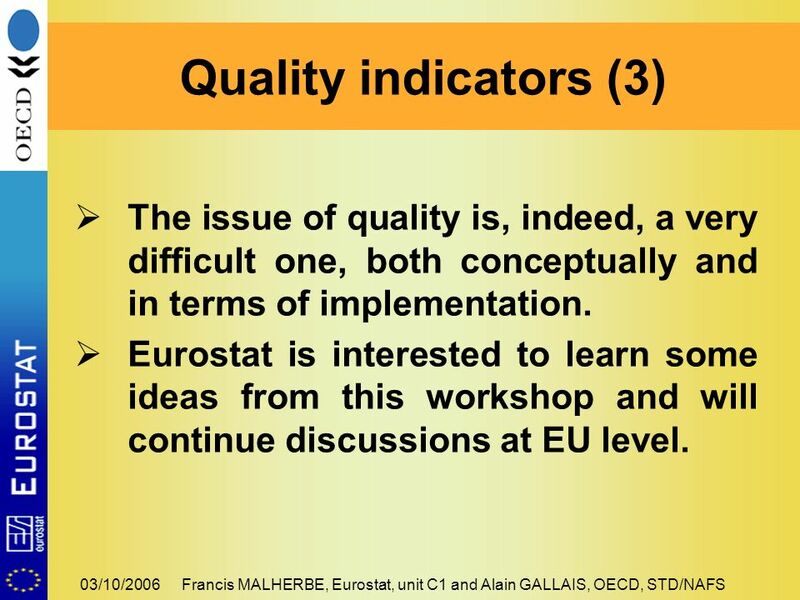 03/10/2006Francis MALHERBE, Eurostat, unit C1 and Alain GALLAIS, OECD, STD/NAFS Review of European and OECD countries experiences Health output methods. 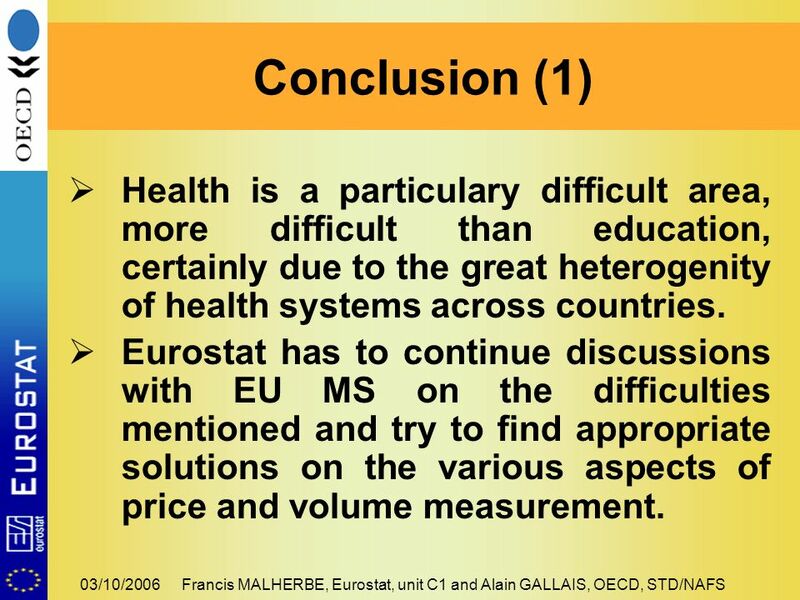 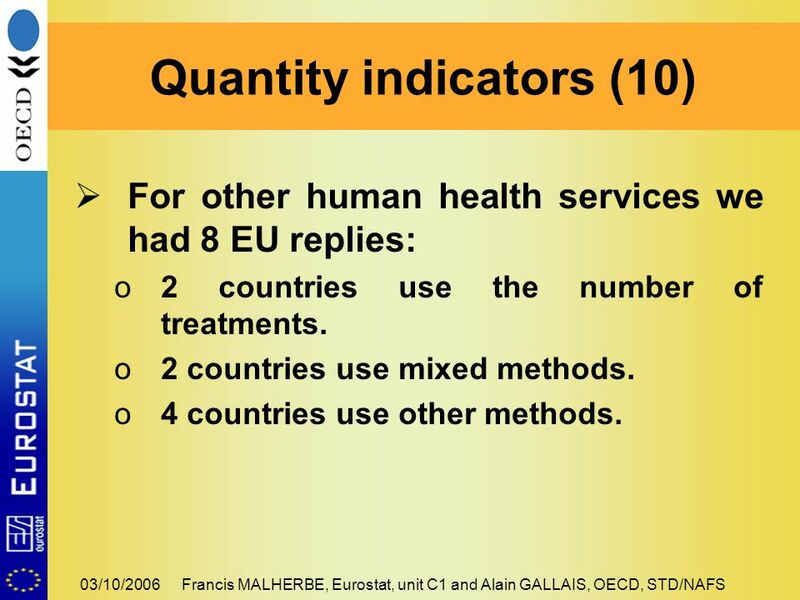 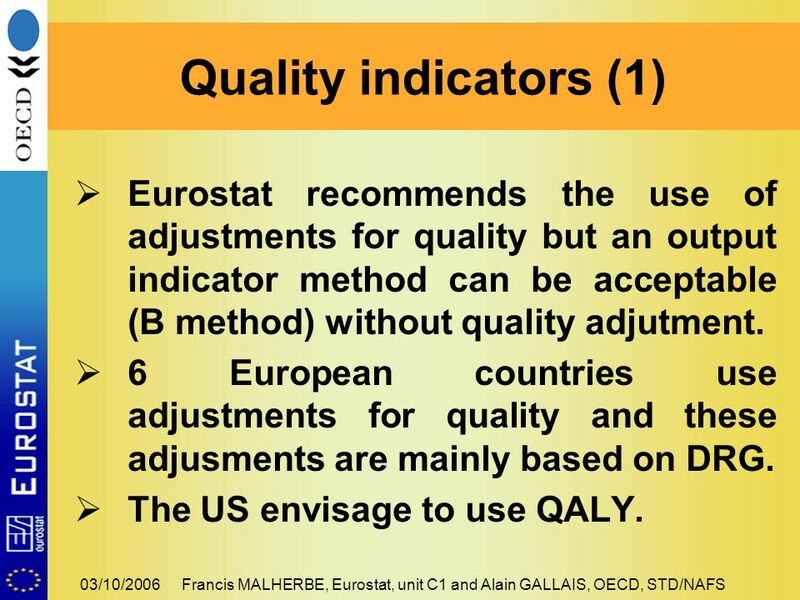 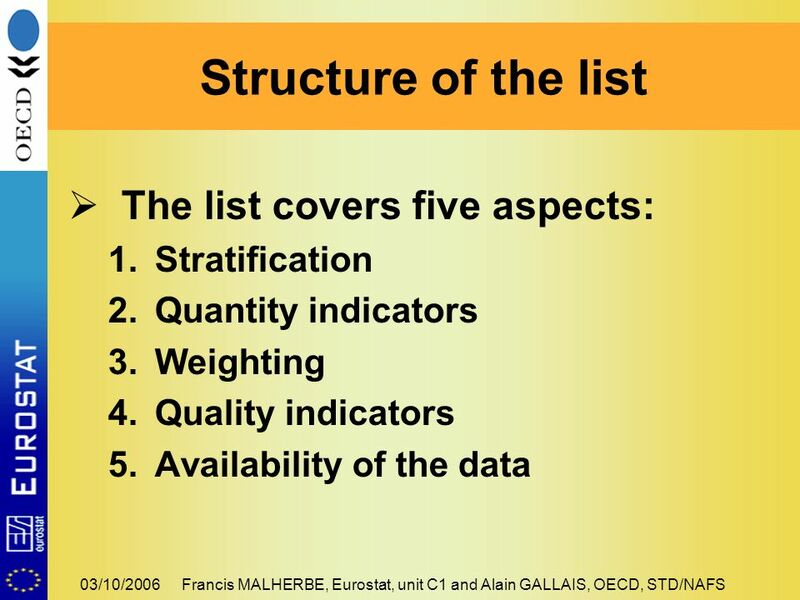 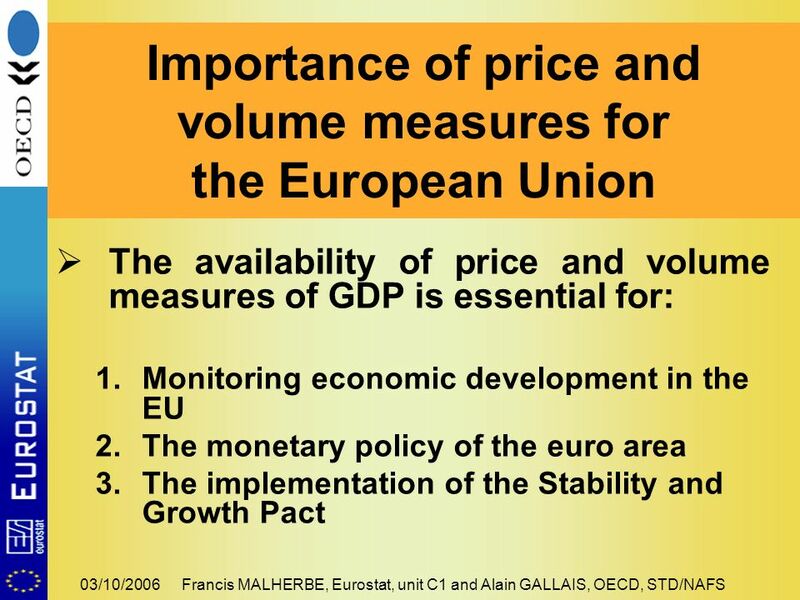 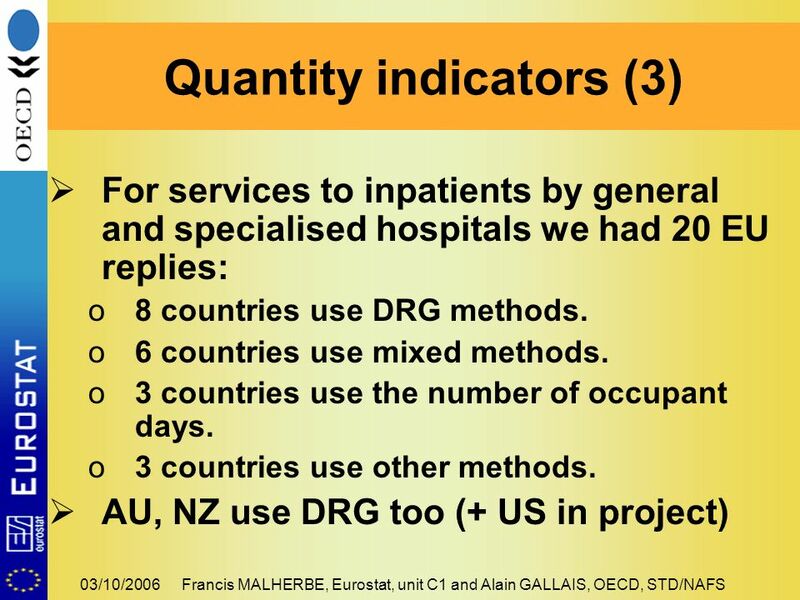 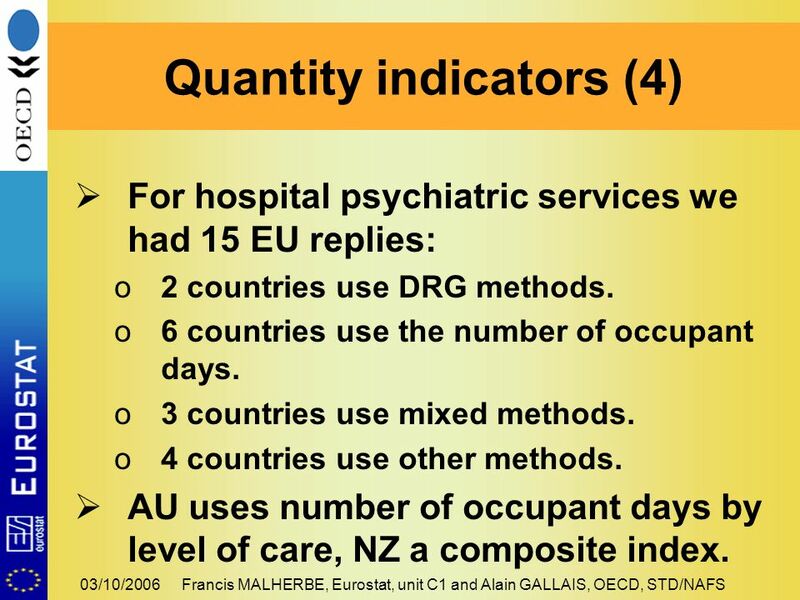 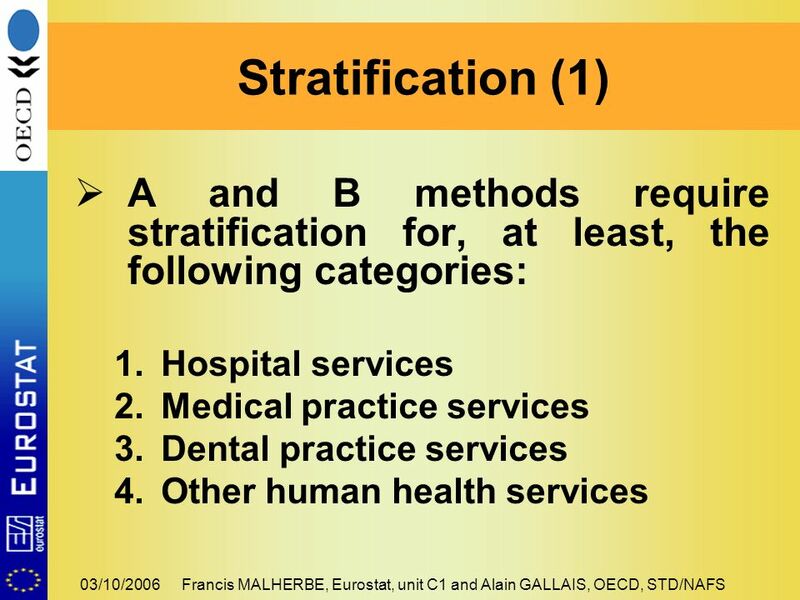 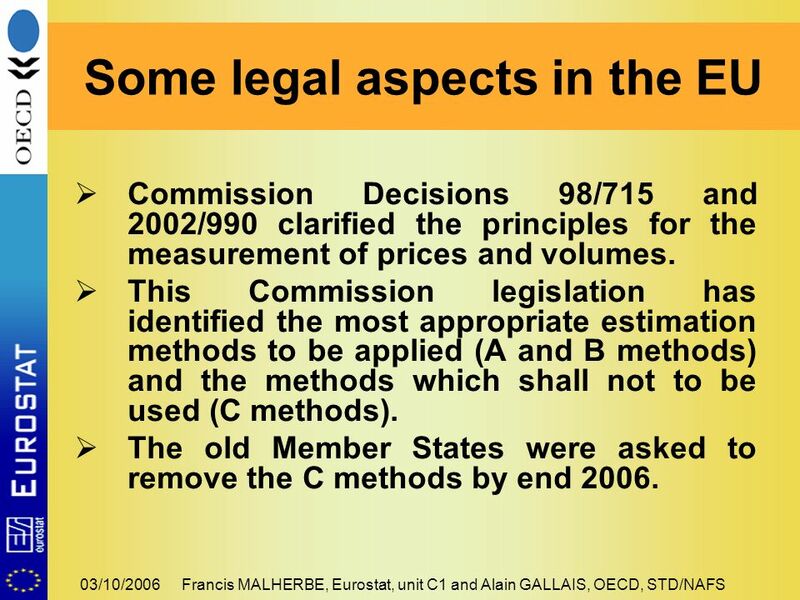 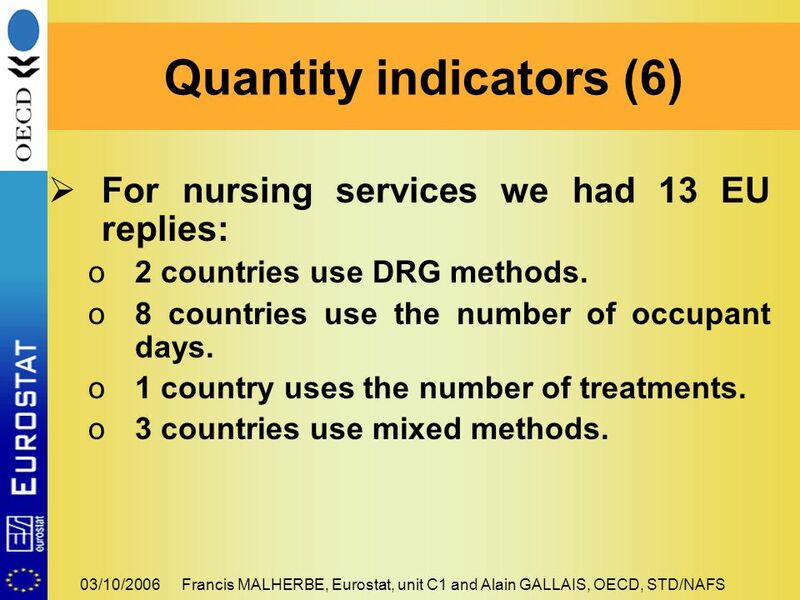 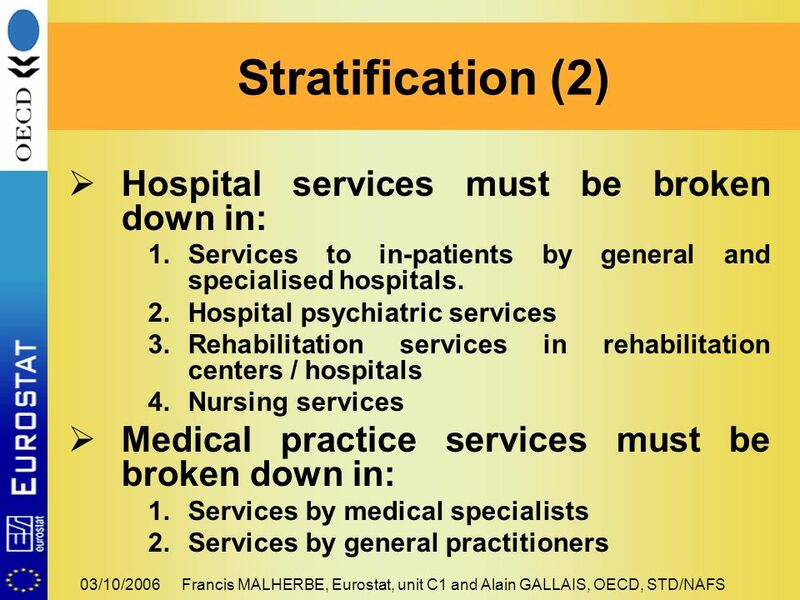 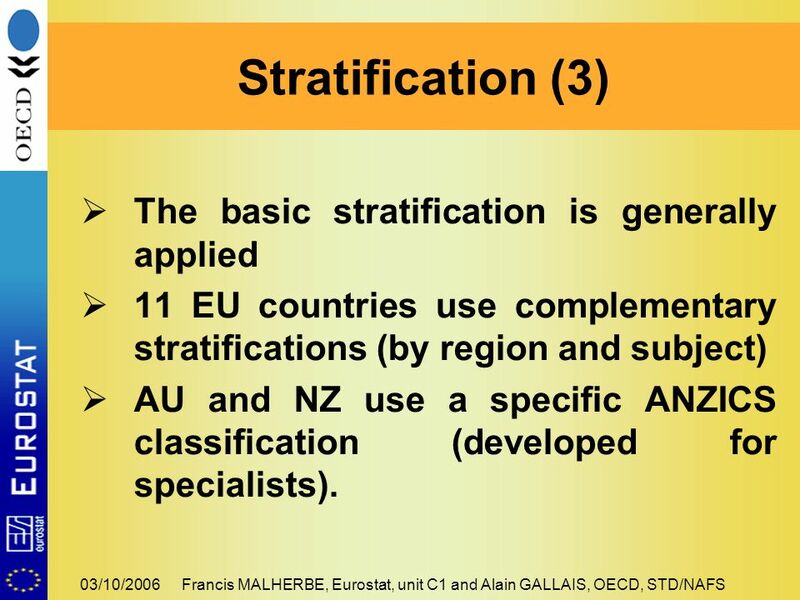 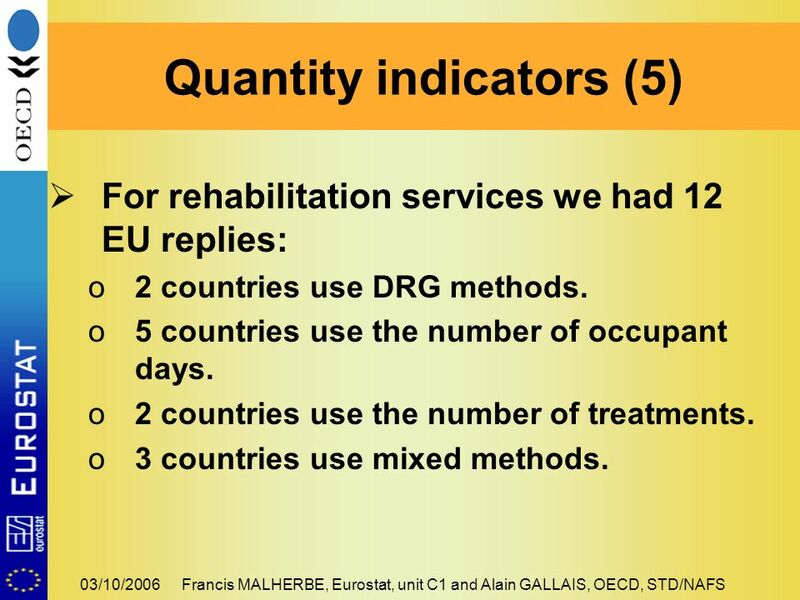 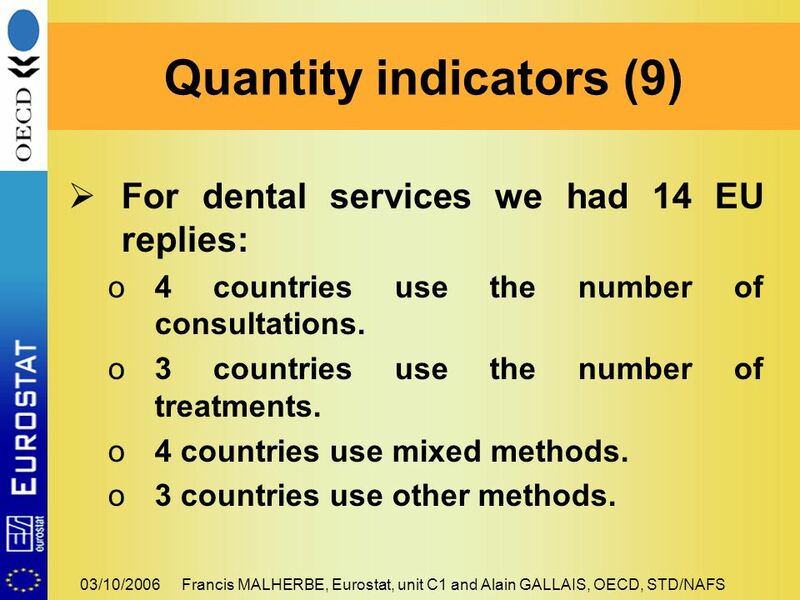 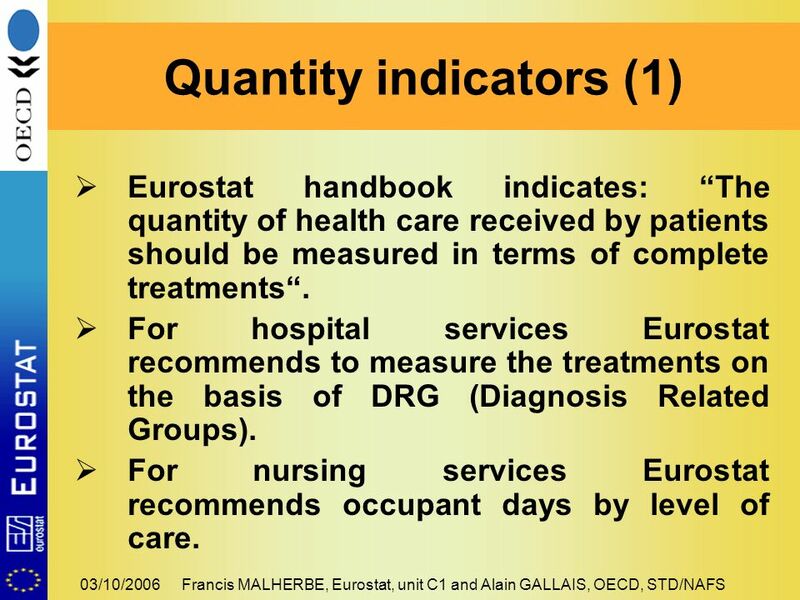 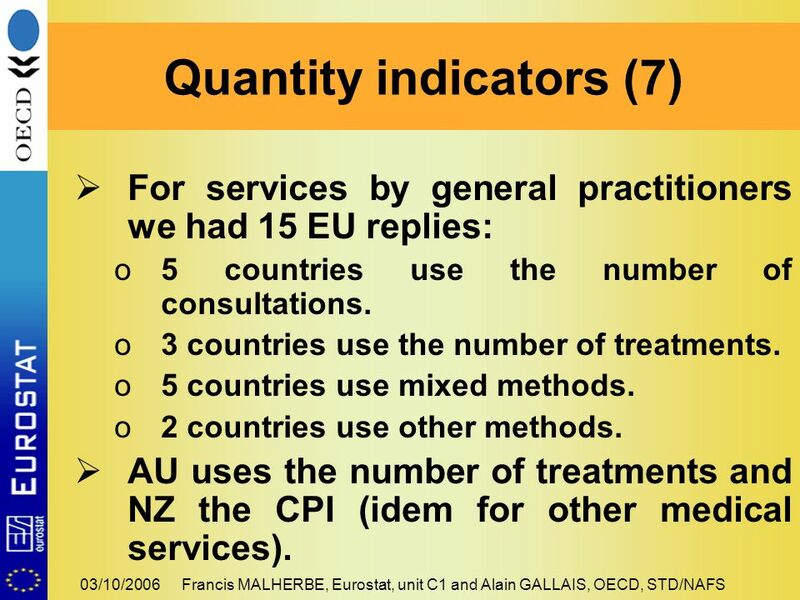 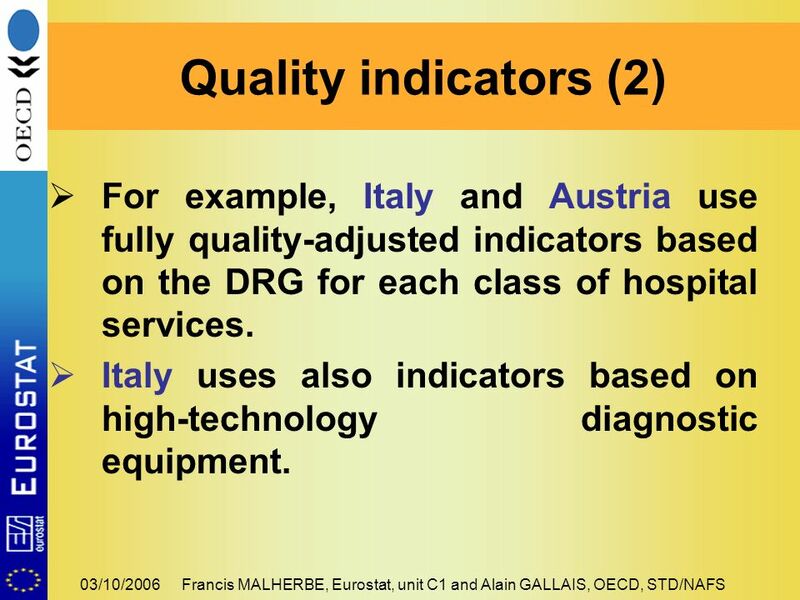 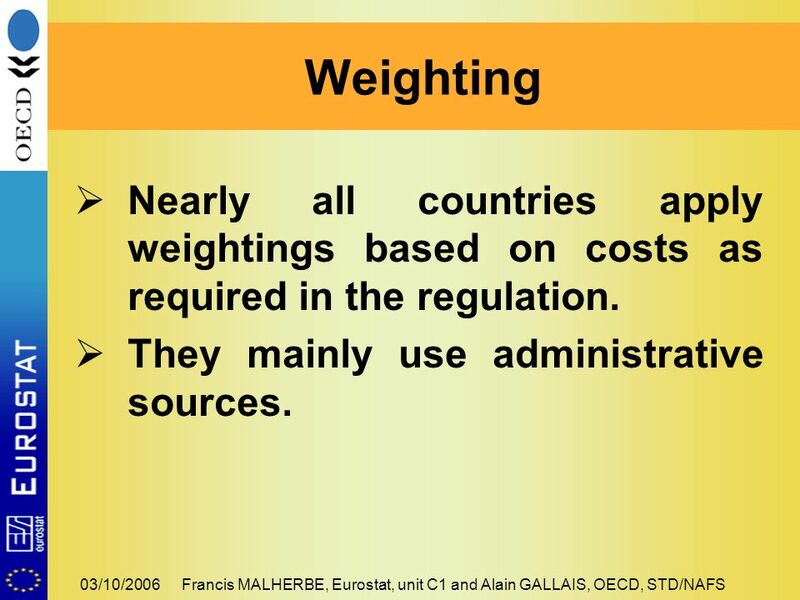 Download ppt "03/10/2006Francis MALHERBE, Eurostat, unit C1 and Alain GALLAIS, OECD, STD/NAFS Review of European and OECD countries experiences Health output methods." 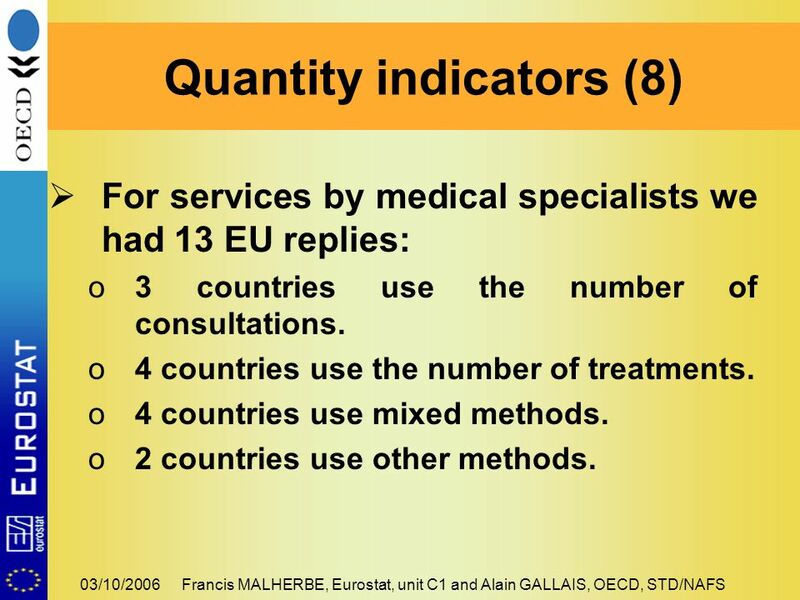 The Place of Multiple Sclerosis in the European Union Policy – the example of EMSPs MS Barometer 2008 Christoph Thalheim Secretary General, European MS.
1 A FRAMEWORK FOR BUSINESS DEMOGRAPHY STATISTICS Entrepreneurship Indicators Project Steering Group Nadim Ahmad, Statistics Directorate, OECD Rome 5-6. 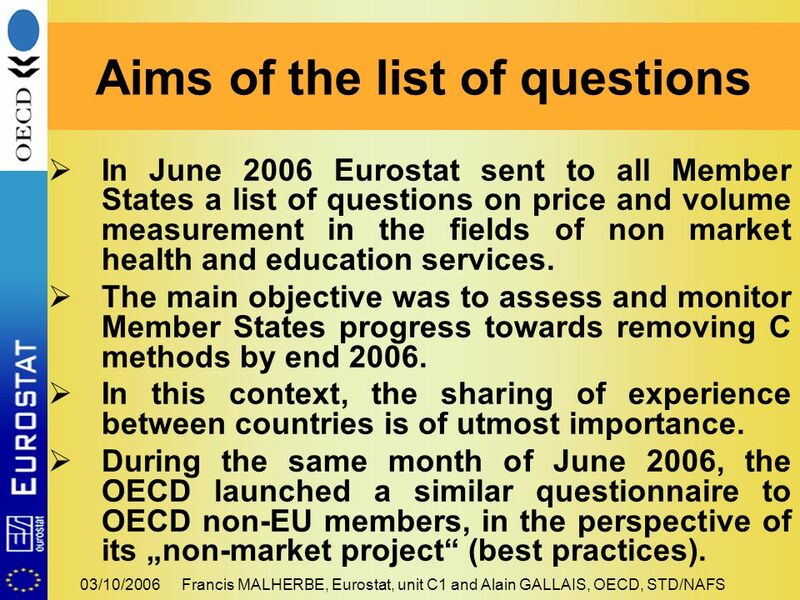 José Pavão Nunes World Forum OECD June 2007 Pension Funds in Portugal. 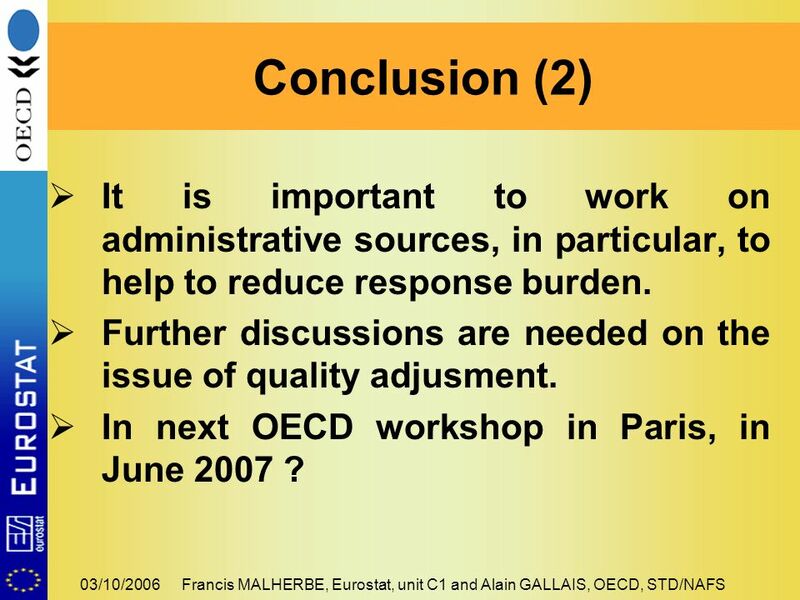 The Public Finance and Empoyment Database of the OECD Dirk Kraan National Accounts Working Party Paris 1 December 2010. 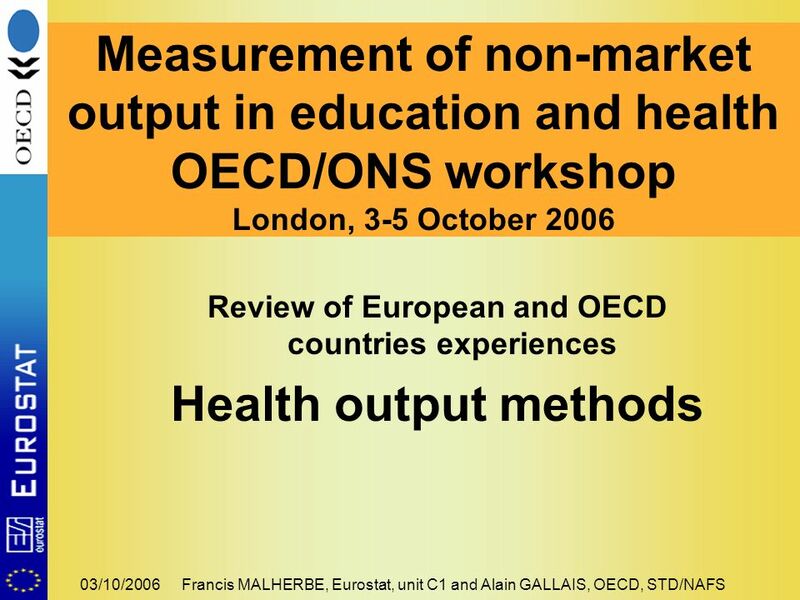 OECD/NBS Workshop on national accounts October 2008 Paris Towards measuring the volume of health and education services Draft OECD Handbook Paul. 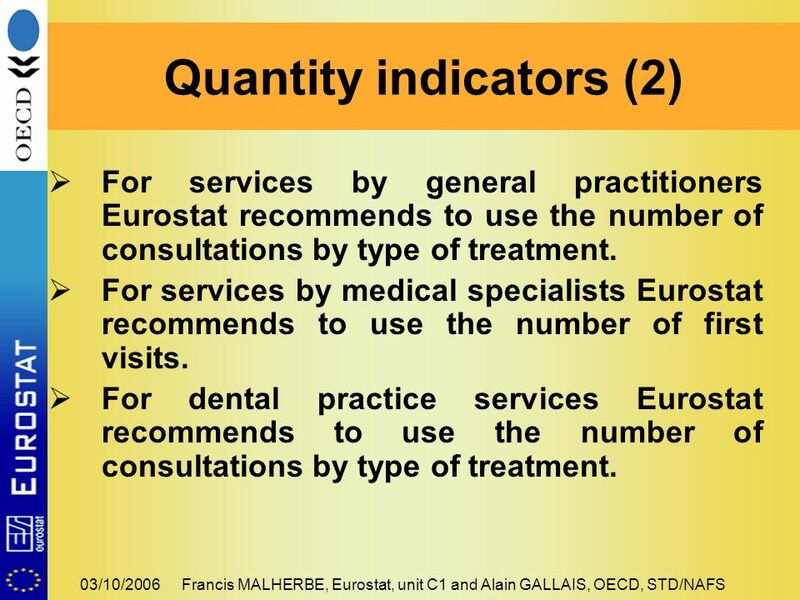 © Statistisches Bundesamt (Federal Statistical Office, Germany), Price and volume measurement Price and Volume Measures of Hospital Services for Germany. 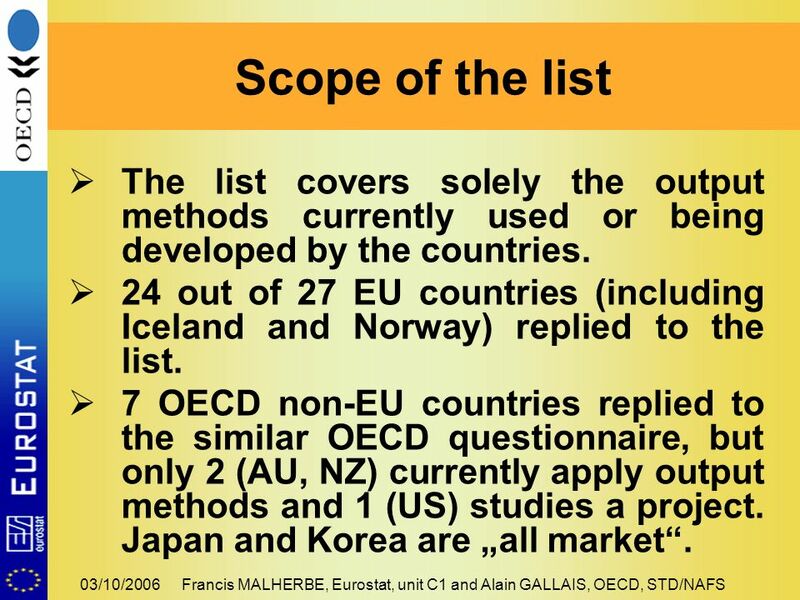 Working Party on National Accounts, OECD – 4-6 November 2009 Update on PPP programme and new data set for health expenditure Paul Schreyer OECD.